I always hesitate to use the word ‘healthy’. It seems that while some people are attracted to it, the rest of us tend to move past it to the next thing on the menu. So, I will not use the word ‘healthy’; I will instead just say that this is a most yummy grain, and while using the quinoa, you can also use that corn on the cob from the other night, the leftover roasted peppers and those cherry tomatoes on the verge of going bad. Now, don’t you feel so much better about making this salad already? 12 oz. quinoa (I often buy the organic red quinoa in a bag), follow directions on package for prep. * tonite when I made this I added fresh cilantro ( which I love) and 1/2 a jalapeno pepper chopped up, you can also add chunks of avocado (which I like in all salads) and olives as I’ve said are optional. Prepare the quinoa according to directions on the package. Let it cool. Prepare the vinaigrette. I always use the food processor and put all ingredients except for the olive oil and pulse a few times before slowly streaming in the olive oil. *Add feta. You can leave out the feta and have a vegan salad. This entry was posted in Salad, vegetables, vegetarian and tagged Quinoa Salad, Quinoa Salad with Vegetables. Bookmark the permalink. 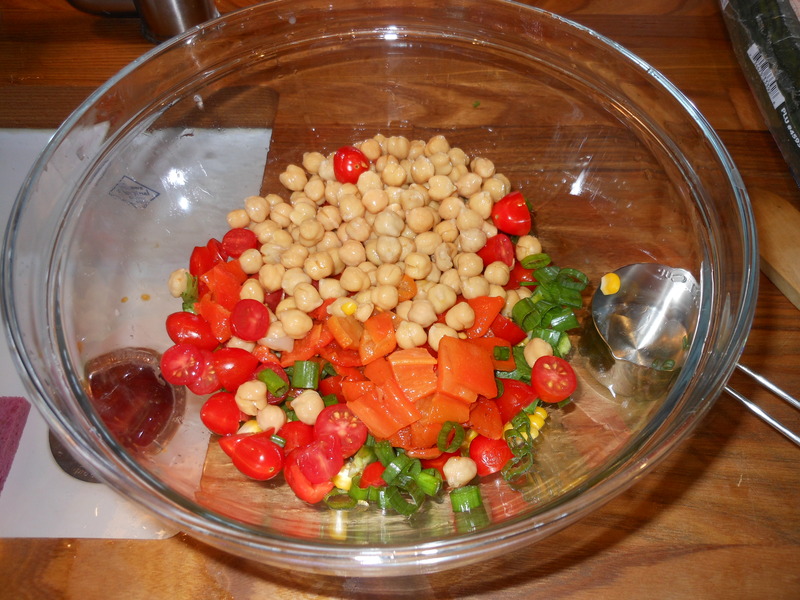 I posted this on my blog back in 2011, and it remains one of my most favorite salads. I highly recommend adding some of that fresh asparagus out there into this delicious grain. You can also look for my Kale and Quinoa Salad also on Cookingwithcandi.com.